These wonderful ladies tried their very creative hands with wet felting for the first time. 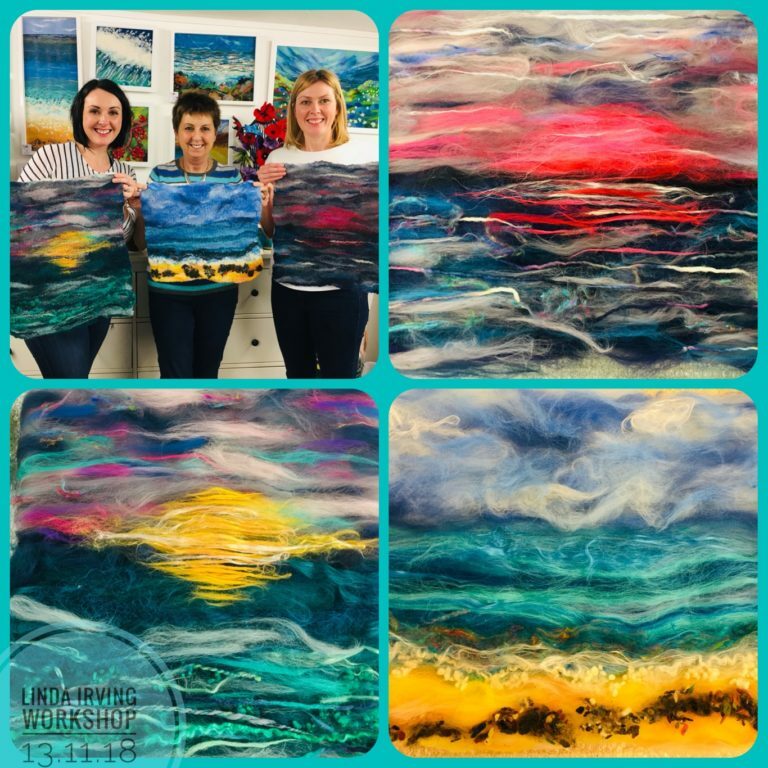 Dorothy, Lauren and Kirsty made beautiful seascapes using merino fibres, mulberry silks, sari silks, nepps and art yarns in multiple layers. We had a great workshop, thank you ladies!